Summit White 2019 Chevrolet Express 3500 Work Van Cutaway RWD 6-Speed Automatic HD Electronic with Overdrive 6.0L V8 3.42 Rear Axle Ratio, Cruise Control, Driver Convenience Package, Exterior Parking Camera Rear, Heavy-Duty Locking Rear Differential, Power Convenience Package, Power Door Locks w/Lock-Out Protection, Power Windows, Preferred Equipment Group 1WT, Rear Vision Camera, Tilt Steering Wheel. TEXT US @502-912-1609. Recent Arrival! Contact our Internet Department for pricing and availability. We want to earn your business! Bob Hook was voted Best of Louisville for Auto Service, because customer satisfaction is our #1 Goal. TEXT US @502-912-1609. Disclaimer: Prices are net of any and all rebates including (GMF-must finance with GM ) and( Conquest Rebates- Must own a 2005 or newer non-gm vehcle). See dealer for details. Summit White 2019 Chevrolet Express 3500 Work Van Cutaway RWD 6-Speed Automatic 6.0L 8-Cylinder- POWER CONVENIENCE PACKAGE INCL: *POWER LOCKS *POWER WINDOWS - DRIVER CONVENIENCE PACKAGE INCL *TILT WHEEL *CRUISE CONTROL - REARVIEW CAMERA -BAY BRIDGE CUTAWAY VAN TEXT US @502-912-1609. Recent Arrival! Contact our Internet Department for pricing and availability. We want to earn your business! Bob Hook was voted Best of Louisville for Auto Service, because customer satisfaction is our #1 Goal. YOU CAN TEXT US AT 502-514-9011. Disclaimer: Prices are net of any and all rebates including (GMF-must finance with GM ) and( Conquest Rebates- Must own a 1999 or newer non-gm vehcle). See dealer for details. Summit White 2019 Chevrolet Express 3500 Work Van Cutaway RWD 6-Speed Automatic 6.0L 8-Cylinder- POWER CONVENIENCE PACKAGE INCL: *POWER LOCKS *POWER WINDOWS - DRIVER CONVENIENCE PACKAGE INCL *TILT WHEEL *CRUISE CONTROL - REARVIEW CAMERA -BAY BRIDGE CUTAWAY TEXT US @502-912-1609. Recent Arrival! Contact our Internet Department for pricing and availability. We want to earn your business! Bob Hook was voted Best of Louisville for Auto Service, because customer satisfaction is our #1 Goal. YOU CAN TEXT US AT 502-514-9011. Disclaimer: Prices are net of any and all rebates including (GMF-must finance with GM ) and( Conquest Rebates- Must own a 1999 or newer non-gm vehcle). See dealer for details. Summit White 2019 Chevrolet Express 3500 Work Van BAY BRIDGECutaway RWD 6-Speed Automatic 6.0L 8-Cylinder- POWER CONVENIENCE PACKAGE INCL: *POWER LOCKS *POWER WINDOWS - DRIVER CONVENIENCE PACKAGE INCL *TILT WHEEL *CRUISE CONTROL - REARVIEW CAMERA TEXT US @502-912-1609. Recent Arrival! Contact our Internet Department for pricing and availability. We want to earn your business! Bob Hook was voted Best of Louisville for Auto Service, because customer satisfaction is our #1 Goal. YOU CAN TEXT US AT 502-514-9011. Disclaimer: Prices are net of any and all rebates including (GMF-must finance with GM ) and( Conquest Rebates- Must own a 1999 or newer non-gm vehcle). See dealer for details. Summit White 2019 Chevrolet Express 3500 Work Van Cutaway RWD 6-Speed Automatic 6.0L 8-Cylinder- DRIVER CONVENIENCE PACKAGE INCL *TILT WHEEL *CRUISE CONTROL - POWER CONVENIENCE PACKAGE INCL: *POWER LOCKS *POWER WINDOWS- CHROME APPEARANCE PACKAGE- REARVIEW CAMERA - BLUETOOTH FOR PHONE TEXT US @502-912-1609. Recent Arrival! Contact our Internet Department for pricing and availability. We want to earn your business! Bob Hook was voted Best of Louisville for Auto Service, because customer satisfaction is our #1 Goal. YOU CAN TEXT US AT 502-514-9011. Disclaimer: Prices are net of any and all rebates including (GMF-must finance with GM ) and( Conquest Rebates- Must own a 1999 or newer non-gm vehcle). See dealer for details. Summit White 2019 Chevrolet Express 3500 Work Van Cutaway RWD 6-Speed Automatic 6.0L 8-Cylinder--KNAPHEIDE SERVICE UTILITY VAN-POWER CONVENIENCE PACKAGE INCL: *POWER LOCKS *POWER WINDOWS- DRIVER CONVENIENCE PACKAGE INCL *TILT WHEEL *CRUISE CONTROL- REARVIEW CAMERA- 4G LTE WI-FI (R) HOTSPOT CAPABLE - BLUETOOTH FOR PHONE TEXT US @502-514-9011. Recent Arrival! Contact our Internet Department for pricing and availability. We want to earn your business! Bob Hook was voted Best of Louisville for Auto Service, because customer satisfaction is our #1 Goal. YOU CAN TEXT US AT 502-514-9011. Disclaimer: Prices are net of any and all rebates. Summit White 2019 Chevrolet Express 3500 Work Van Cutaway RWD 6-Speed Automatic HD Electronic with Overdrive 6.0L V8r- DRIVER CONVENIENCE PACKAGE INCL *TILT WHEEL *CRUISE CONTROL - POWER CONVENIENCE PACKAGE INCL: *POWER LOCKS *POWER WINDOWS- CHROME APPEARANCE PACKAGE- REARVIEW CAMERA - BLUETOOTH FOR PHONE TEXT US @502-912-1609. Recent Arrival! Contact our Internet Department for pricing and availability. We want to earn your business! Bob Hook was voted Best of Louisville for Auto Service, because customer satisfaction is our #1 Goal. TEXT US @502-912-1609. Disclaimer: Prices are net of any and all rebates including (GMF-must finance with GM ) and( Conquest Rebates- Must own a 2005 or newer non-gm vehcle). See dealer for details. Summit White 2019 Chevrolet Express 3500 Work Van Cutaway RWD Automatic 6.0L V8 - POWER CONVENIENCE PACKAGE INCL: *POWER LOCKS *POWER WINDOWS - DRIVER CONVENIENCE PACKAGE INCL *TILT WHEEL *CRUISE CONTROL - REARVIEW CAMERA-SPARTAN SERVICE BODY 12" TEXT US @502-514-9011. Recent Arrival! Contact our Internet Department for pricing and availability. We want to earn your business! 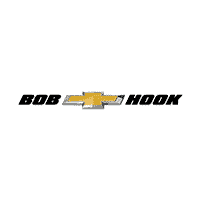 Bob Hook was voted Best of Louisville for Auto Service, because customer satisfaction is our #1 Goal. YOU CAN TEXT US AT 502-514-9011. Disclaimer: Prices are net of any and all rebates. Summit White 2019 Chevrolet Express 3500 Work Van Cutaway RWD 6-Speed Automatic 6.0L 8-Cylinder- POWER CONVENIENCE PACKAGE INCL: *POWER LOCKS *POWER WINDOWS- DRIVER CONVENIENCE PACKAGE INCL *TILT WHEEL *CRUISE CONTROL - REARVIEW CAMERA-SUPREME SPARTAN CARGO SERVICE UTILITY VAN TEXT US @502-912-1609. Recent Arrival! Contact our Internet Department for pricing and availability. We want to earn your business! Bob Hook was voted Best of Louisville for Auto Service, because customer satisfaction is our #1 Goal. YOU CAN TEXT US AT 502-514-9011. Disclaimer: Prices are net of any and all rebates including (GMF-must finance with GM ) and( Conquest Rebates- Must own a 1999 or newer non-gm vehcle). See dealer for details. Summit White 2019 Chevrolet Express 3500 Work Van Cutaway RWD 6-Speed Automatic HD Electronic with Overdrive 6.0L V8 Chrome Appearance Package, Chrome Grille, Driver Convenience Package, Exterior Parking Camera Rear, Front Chrome Bumper w/Step-Pad, Power Convenience Package, Power Door Locks w/Lock-Out Protection, Power Windows, Preferred Equipment Group 1WT, Radio: AM/FM Stereo w/MP3 Player & Digital Clock, Rear Vision Camera, Tilt Steering Wheel. TEXT US @502-912-1609. Recent Arrival! Contact our Internet Department for pricing and availability. We want to earn your business! Bob Hook was voted Best of Louisville for Auto Service, because customer satisfaction is our #1 Goal. TEXT US @502-912-1609. Disclaimer: Prices are net of any and all rebates including (GMF-must finance with GM ) and( Conquest Rebates- Must own a 2005 or newer non-gm vehcle). See dealer for details. Summit White 2019 Chevrolet Express 3500 Work Van Cutaway RWD 6-Speed Automatic 6.0L 8-Cylinder- POWER CONVENIENCE PACKAGE INCL: *POWER LOCKS *POWER WINDOWS- DRIVER CONVENIENCE PACKAGE INCL *TILT WHEEL *CRUISE CONTROL - REARVIEW CAMERA TEXT US @502-514-9011. Recent Arrival! Contact our Internet Department for pricing and availability. We want to earn your business! Bob Hook was voted Best of Louisville for Auto Service, because customer satisfaction is our #1 Goal. YOU CAN TEXT US AT 502-514-9011. Disclaimer: Prices are net of any and all rebates.